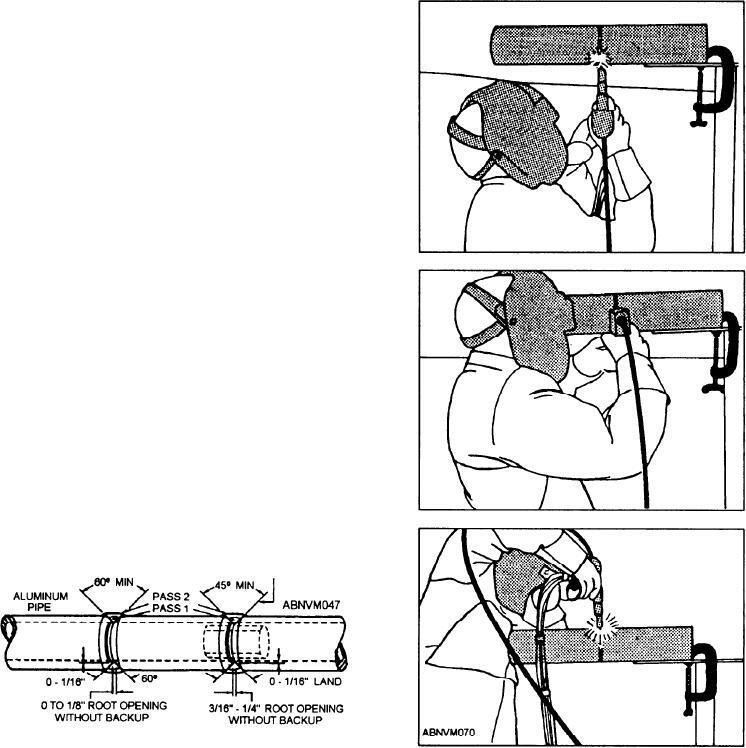 overhead welds pass visual inspection. used. Thoroughly clean and dry the weld area. sequence as shown in figure 10-69.
shown in the photographic sequence in figure 10-70.
horizontal fixed-position multipass GMA welding.